Getting a free life insurance quote is as simple as filling out a quick form. 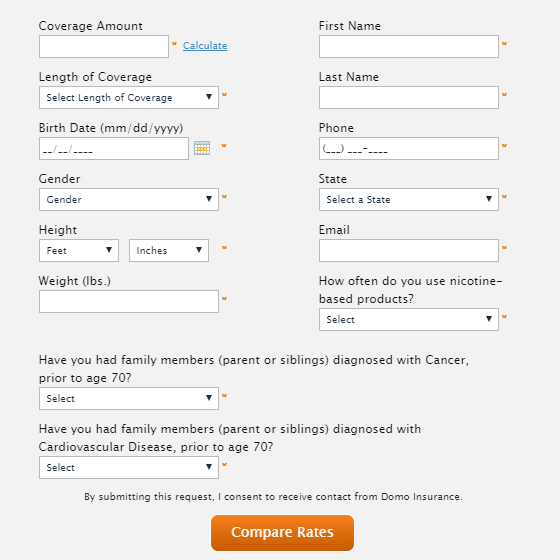 Just click the button below to complete the form, then compare the rates offered by the top life insurance companies. Once you have selected the best rate for you, the experts at DomoInsurance will guide you through the application process and make sure you understand everything about your policy.